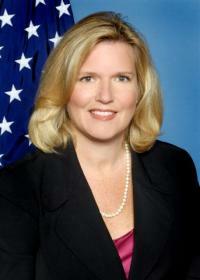 The big announcement this week is Jeanne Hulit has been appointed Acting SBA Administrator. Jeanne will do an awesome job of being a strong advocate for Main Street. Check out this Coleman Report newsletter article I wrote about Jeanne when she joined SBA as the Associate Administrator of Capital Access last year. Her office isn’t on the top floor. There is no expansive mahogany wood panel ante-waiting room. And you do have to traverse the cube farm maze to get there. So, when you arrive at the new Associate Administrator’s office you don’t expect much. Oh, when you enter it you realize it’s a pretty nice corner office by Washington D.C. standards, when all of a sudden you realize that big picture on the window, is not a picture. It’s the Capitol. The United States Capitol. In full view. Unencumbered by other buildings. An easy reminder for this political appointment that her federal government responsibility is to get capital to Main Street, in the most prudent and cost-effective manner as possible. Jeanne Hulit has been on her new job for a little over one month. She has an impressive title, Associate Administrator of Capital Access, and a important array of portfolio of direct reports. Grady Hedgespeth’s Office of Financial Assistance, all of John Miller’s centers (e.g. Herndon, Fresno, Citrus Heights, Little Rock), Steve Kucharski’s IT department, the lender oversight function, and as if she needs more stuff to do – throw in Surety Bonds to boot. We talked about some obvious positive things happening at SBA – the elevation of SBA Administrator Karen Mills to the cabinet, record levels of SBA lending in 2011. As well as negatives – decreased level of lending in 2012, “But remember, at $16 billion for 7(a) that will still be the second largest year ever!” she told us. It finally got down to the one item we wanted to know – What will be her attitude toward lenders? I gave here the analogy of a swinging pendulum. At times SBA may appear to be too “friendly” with its lender policies, at other times the Inspector General arm of the agency takes over, making the program too “difficult” for lenders. “My philosophy is that the best way to manage risk is to articulate what it is and to stay within your box. “And if the box needs to be changed during different economic circumstances, then you change that. “The greatest problems that come about between the agency, the lending community and the OIG is when we’re looking at risk differently, and we haven’t articulated what our parameters are. “Our job as the agency piece, is being clear with our lending partners about what does it mean to be an SBA lender. “Do they know what we mean by the credit elsewhere test? “Do they know how we define an eligible small business borrower? “If we’re clear about our box, when the lender puts a loan in for purchase, the OIG will not be accusing us of improper payments to lenders. Jeanne Hulit joined SBA out of Citizens Financial Bank in Providence, Rhode Island, where she was a middle market lender. Previowusly, she was with the Maine Department of Economic and Development. She was appointed by President Obama as the SBA New England Regional Administrator in 2009.